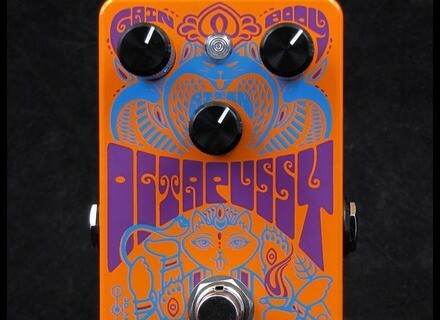 Octapussy, Fuzz pedal from Catalinbread. 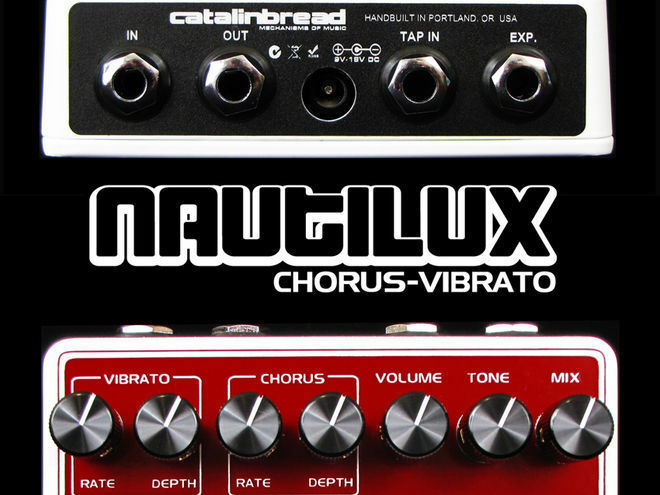 Catalinbread's first year exhibiting at NAMM brings three new pedals to their product line. Tone circuit enables you to dial shiny airy, to warm and chewy. Mix control allowing you to tune in 100% modulated to 100% dry and everything in between. Independent rate and depth for both modes vibrato and chorus. Vibrato mode is modulated by a sine waveform, chorus is modulated by a triangular waveform, again inspired by the CE1. Expression pedal capable of controlling rates or depths. 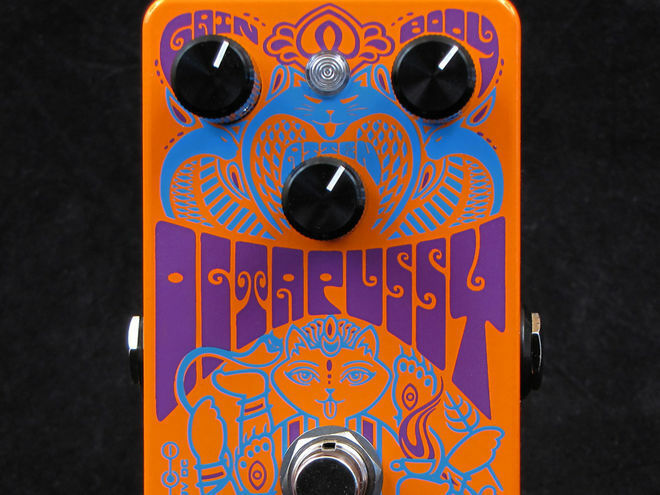 Capable of "delicate octave harmonies, to ripping fuzz tones." Fuzz whether played high on the frets, or chunky power chords. Integration with your guitar's volume/tone controls. Independent rate controls for chorus and vibrato modes. Incandescent bulb opto controlled phase shift stages. 'Cancel' function which allows for old school Uni-Vibe 'bypass' sounds. Offset knob allows control over the centre frequency of the vibe. Input knob enables the player to control their input impedance from traditional to high. Expression pedal capable of controlling rates. Visit Catalinbread for more details on these products. [NAMM] Blackstar HT-Metal Blackstar has unveiled a new all-valve pedal aimed at high-gain metal players.